Having extra ground beef in the fridge and tired of having the same hamburgers all the time it seems (due to a picky teenager). 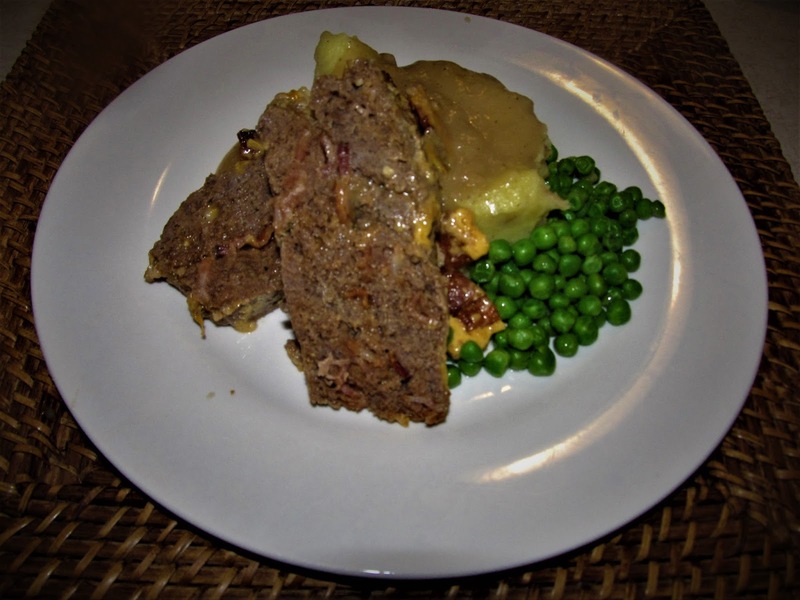 I decided on a meatloaf , which it was very simple to make and I had a lot of fun making this meatloaf. 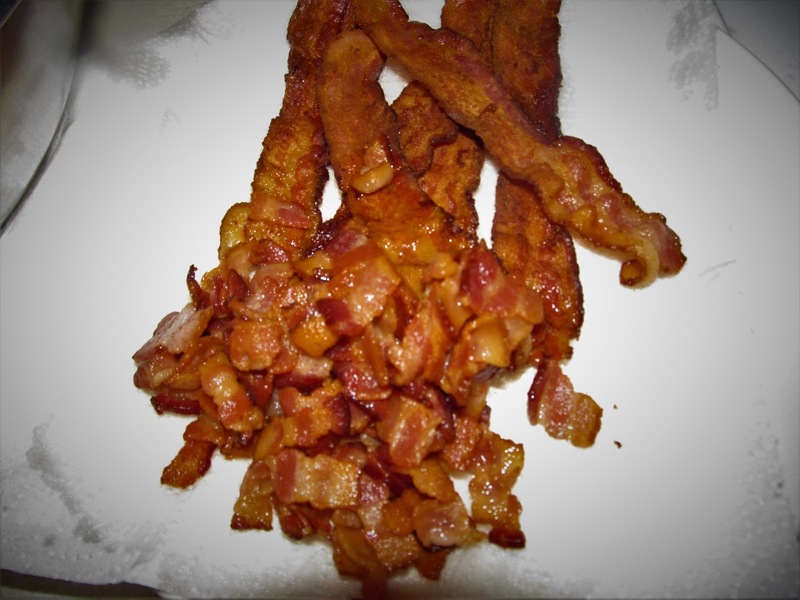 8 pc Bacon ( 4 chopped and fried and 4 strips. 2. Fry up the bacon,set aside. – Add ground beef, then add Salt, pepper, coriander, garlic, green onion, bread crumbs, ketchup, chopped bacon (not the strips) and egg. 4. Take loaf pan, and place 1/2 of mixture into loaf pan. Take 2 strips of bacon and lay that on top of layer of layer of meat loaf. 5. Place remaining of meat and place on top of Bacon strips. 6. Place the other 2 strips of bacon on top of that layer and add American cheese on top. 7. Cover with tin foil and allow to bake for 45 minutes. Remove tin and allow to cook another 15 minutes. * Mashed Potatoes, Baked Potatoes/ Either one will go well with Meatloaf. * Any vegetables will go well, we wanted something easy, we just used Peas. There were no complaints at dinner in fact everyone had seconds. I also thought about some ad-inns. As I have made meatloaf before and I used a Mexican recipe. Which also turned out well. So if your looking for a easy comfortable food recipe, give this one a try.